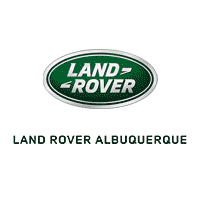 Welcome to Land Rover Albuquerque Service Center! By providing a Land Rover service center right next to our showroom, keeping up with maintenance and auto repairs has never been easier. Read on to check out our services, and learn how you can keep your Land Rover vehicle always running like new! With our Land Rover service center, you’ll receive the highest-quality care from our experienced and knowledgeable auto technicians. From oil changes to transmission replacements, and everything in between, we can tackle any maintenance issue you come across. Plus, scheduling service has never been easier than with our online scheduler. Just fill out some quick information, and we’ll be in touch to confirm you preferred appointment date and time. To make your maintenance upkeep even more convenient, we also offer Land Rover Pre-Paid Maintenance Plans. You can choose to purchase the plan before your first service interval, or at the time of your Land Rover vehicle purchase. The Land Rover Pre-Paid Maintenance plan offers different options, depending on which services you’re looking for, and how long you want to extend the plan for. It’s a great way to not worry about staying on top of your maintenance, and already having paid for it, too! We know that some of our customers like to take on maintenance issues, or vehicle projects in general, at home. That’s why we provide a parts center to give you genuine factory OEM parts, so that you can be sure you’re giving your luxury vehicle the high-quality care it deserves. You can even order parts online by filling out our parts request form. Just fill out some quick information, including which parts you’re looking for, and we’ll have them ready for pickup in a timely manner. If you are in the areas of Albuquerque, Rio Rancho, and South Valley, don’t hesitate to reach out to us at Land Rover Albuquerque with your Land Rover maintenance questions!